3/28/17 – Cutting edge key management solutions are at ISC West! 6/9/15 – How will you protect your key control investment next fiscal year? 12/19/13 – Move up to KeyWatcher Touch now and save! 9/17/13 – Lock up the keys that lock your doors! Learn more at ASIS and G2E. 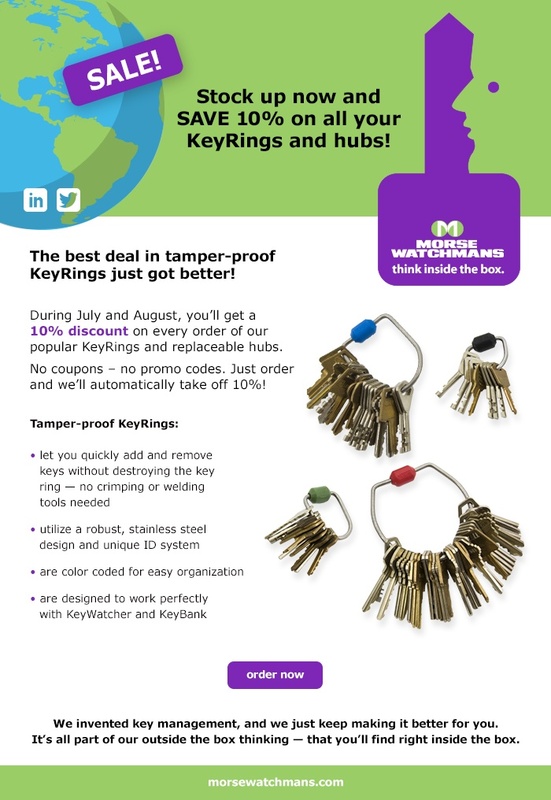 8/20/13 – 3 ways Morse Watchmans key management supports you better! 7/16/13 – Morse Watchmans makes data centers even more secure. 6/13/13 – Key management? Get exactly what you want – now even easier online. 5/16/13 – Morse Watchmans key control plus biometrics makes Westfield Shopping Centers safer! 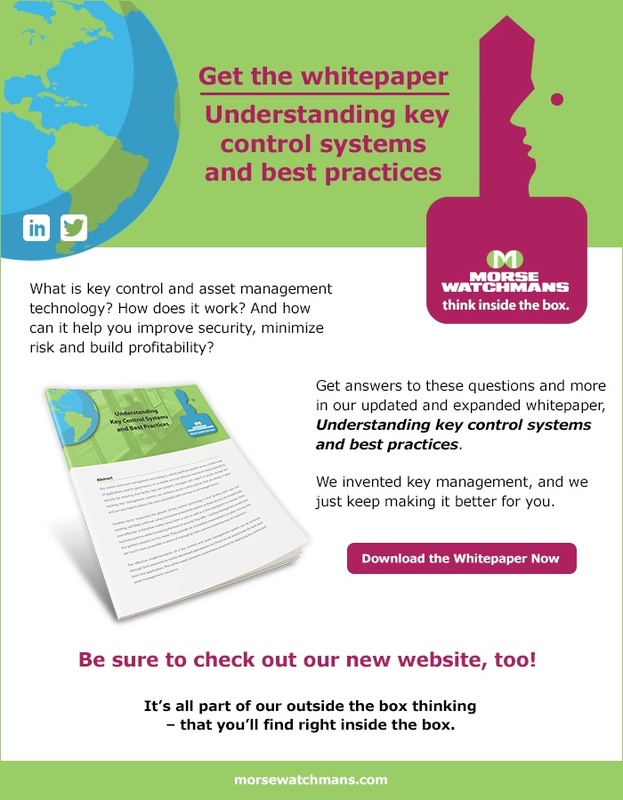 5/2/13 – What’s new in key control at IFSEC? 4/2/13 – Get your hands on a KeyWatcher Touch – and more – at ISC West 2013! 3/26/13 – Track keys more easily than ever with scheduled reports from Morse Watchmans! 2/28/13 – Morse Watchmans makes key control smarter! 2/14/13 – Get extra care for your Morse Watchmans key control or guard tour system! 1/22/13 – Upgrade to KeyWatcher Touch – Morse Watchmans makes it easy! 1/9/13 – Morse Watchmans has the Touch – and more – at Intersec Dubai! 11/8/12 – Morse Watchmans has key control, fleet management and more for you at Transec! 10/23/12 – Guard tours, key control and more – see Morse Watchmans at ISC East! 10/4/12 – Morse Watchmans does fast key return best! 9/25/12 – New look, new products! See it all at ESSEN! 8/28/12 – Get notified! 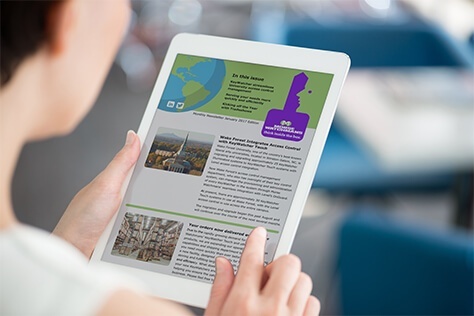 New, improved, customized email or text alerts! 8/16/12 – Many keys? One solution! Morse Watchmans KeyBank. 8/2/12 – What do you keep in your KeyWatcher? Show us! 5/31/12 – IFSEC points to another winner for Morse Watchmans! 5/1/12 – See The New KeyWatcher Touch And Get A Chance To Win At IFSEC! 4/17/12 – Hope We Got To See You At ISC West!